Hello and welcome to Three Elephant Ninjas! 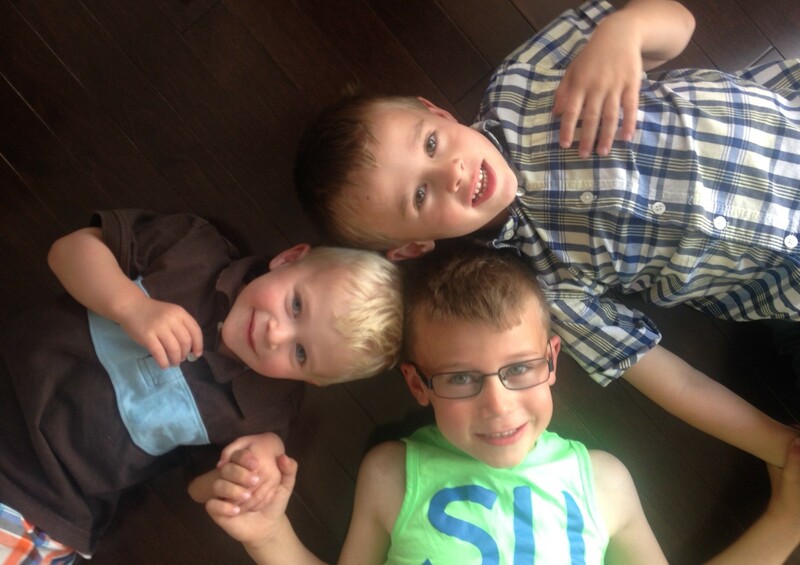 My name is Nikki and I’m a thirty-something mom of three high-spirited, inquisitive and downright hilarious little boys: Finlay(8), Callum (6), and Rowan (4). Together with my hubby, Gregor (who for some reason would like to be known as the ‘Ninja Dad’, rather than the ‘Elephant Dad’), we live in Calgary, Alberta with our mini-sausage dog, Oscar (who would much rather be called a ‘hot dog’ than a ‘wiener dog’ for obvious reasons). That’s right – even the dog is a male. I’m the only dose of estrogen in the entire household and while some people might find that a bit unbalanced, I think it’s marvelous. It leaves more in the shopping budget for me (sometimes…these boys sure can shop) and no one is busting down my bathroom door to borrow some nail polish (although my boys do love playing with my makeup…and they think that an eyelash curler is some sort of medieval weapon used to squish fingers and clip the tips of noses). In between driving my kids to school, cooking up Kraft macaroni and cheese for the fourth time in a week and washing smelly uniforms after soccer games, I like to write. Mostly about my boys (because they make me laugh and I, in turn, like to make other people laugh), a bit about my hubby (because he also makes me chuckle…and because his face turns a lovely shade of crimson when I tell him I’ve been writing about him), a lot about baking (because it’s my therapy and I’ve been baking since my grandmother let me hold the hand mixer for the very first time when I was three years old), and about anything else that I might find amusing. And now a bit more about me. I’m originally from New York State and lived in England with my hubby for seven fabulous years before we permanently immigrated to Canada. So, yes, I’ve ‘gotten around a bit’ in the words of my father. I’m now a fiercely proud Canadian and love the warm, sunny summers here, but could really do without the bouts of -40C that we tend to get in the depths of winter. I drive like an old lady because I’m carrying precious cargo in the back seats, but I can’t stand pokey drivers. I pretend to be organized, but can never find my phone or important pieces of paper. I try really, really hard to be on time and tend to get really annoyed when others arrive late, yet I’m five minutes late for practically everything. I love all types of shopping, especially if a sale is involved, and I even get excited about going to the store for a gallon of milk. Most days, I’d give my right kidney for a Starbucks hot chocolate…and my left kidney for a good celebrity gossip magazine to go along with it (we all have our guilty pleasures). I know more about superheroes than I ever thought I would and sometimes I wake up to find that I was singing the Thomas the Tank Engine theme song in my sleep. I have aspirations of exercising on a daily basis and doing the ironing before it builds up around my ears, but really I just like to hang out with my boys and play Lego. My husband once told me that I’m ‘focused and flaky all that the same time, kind of like a nice lemon tart’ and that just about sums me up. I can be reached at threeelephantninjas@gmail.com or via this contact form.